Alejandro Caminada, a resident of the district of La Matanza, claims having recorded a 'flying saucer' on his cellphone. The man, a resident of Laferre, told Cronica.com.ar. that the recorded object came from another planet. "I saw it with a friend. We were at his house. It was he who alerted me to the presence of a strange, pipe-shaped object in the sky," he said. Caminada was startled by the unconventional shape of the object and remarked: "It crossed the sky in a very distinctive manner. It was elongated, tube-shaped, made no noise and spun quickly." In the end, Fernando declared: "I began recording it and it vanished from one minute to the next. I never saw anything like it in the area." Spain: Pilots Report a UFO "The Size of an Island"
The strange event was attested by two airplanes passing over the Spanish city of Vigo from America on their way to Madrid. 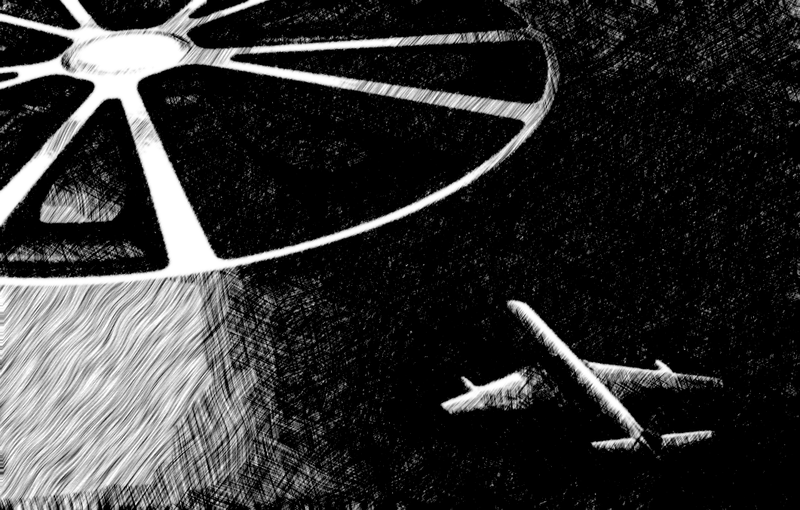 Two airline pilots at the helm of separate commercial flights plowing the North America to Madrid rout certified having seen a UFO at an altitude of 9000 having a tremendous size, perhaps the largest ever seen, as they flew over the Galician coast facing Vigo. This was the testimony of one of the pilots - Juan Reyes - on the Cuarto Milenio television program last Sunday as show host Iker Jimenez looked in in astonishment. The event took place one night in March 1997 and we have knowledge of it thanks to the written report made before the aerial navigation authorities. The protagonist indicated, however, that "the matter remains under investigation and therefore closed to the public." The pilot of the Air Europa airline explained the he was flying from New York and that as he passed the Galician coastline, some 90 kilometers, but in a straight line, the crew was able to see a gigantic structure with lights in a position where there should be nothing but sea. It could not be land or a ship, given its size, which the commander compared with his native island of Grand Canaria. It seemed to him like a platform with two very powerful lights at its center, illuminating the entire unidentified flying object. They notified the Madrid Tower and air traffic control, in turn, requested confirmation to ratify or deny the sighting from a flight inbound from Canada, which was ten seconds behind in the air corridor for safety reasons. And so it was: the pilot of the second aircraft confirmed the sighting of his colleague, and also left a written report. Nothing further has been known about the investigation, which is surprising when the size and location of the structure is considered, and in spite of the 22 years that have elapsed since the event. OTAVALO - A light floating over the surface of Lake San Pablo caught the attention of Anabel Godoy, an Argentinean national, and Reto Schnyder, a Swiss, in the morning hours of Friday, 5 April . According to both foreigners,who own Samay Toa, a tourist haven located in Araque Alto, it was a UFO phenomenon. According to local residents, this would not be the first time such a phenomenon has been recorded. "The fact is that my entire family was stunned. It was out of the ordinar. We had never seen a manifestation of that sort in the lake," said Godoy. The phenomenon occurred at 06:15 last Friday morning. "We were getting ready to start the day. My husband was making coffee and was the first to see the phenomenon through the bedroom window," Godoy recalled. The event impressed Schyder, who has been living in Araque for seven years now. "It was a bright light. My wife, using some binoculars, was able to see that there was no object above the light or on the surface of the lake. It was a light [whose color] was between yellow and orange," he said. 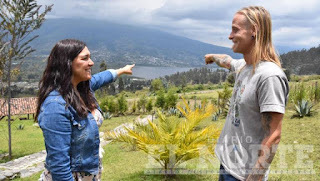 Schnyder says that when he saw the the object the first time, he was some 40 meters from the Araque Water Park on his way to Cachiviro, a trip that takes between 10 and 15 minutes. Local residents are used to discussing these phenomena. "On several occasions we've seen spherical lights in the sky emerging from Lomakunga," recalls Maria Yacelga, a resident of the community. For both foreigners, this was the second time they have witnessed phenomena of this sort. The first was at night, when some spherical lights flew over the property they occupy. The events referred to here occurred last Sunday two kilometers past the observatory. A visit to the Tatacoa Desert turned into a unique experience for members of the Colorado Acuña family after they saw what in their judgement was a UFO. According Marcela Acuña López, the event that has shaken the family took place after five o'clock in the afternoon after they returned to Neiva from spending a long day with her brother. 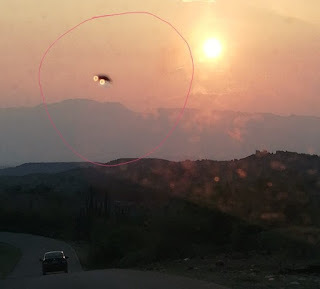 Marcela says that as her sister-in-law took a photo of the desert sunset from the moving vehicle, the camera picked up what she and her sister-in-law believe to be a UFO (unidentified flying object). The image provided by Marcela Acuña clearly shows how a strange element swiftly crosses the horizon, seemingly propelled by two turbines. The family has stated their intention to contact experts in the subject in order to provide them with the photos, so that they can determine whether it was a UFO or not. 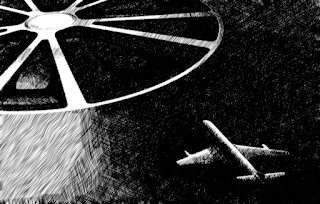 The subject of UFOs is considered taboo by the scientific community, despite evidence showing that a small percentage of sightings display advanced technology. There is the need for open, evidence-based scientific investigation, rather than based on expectation or prior belief. 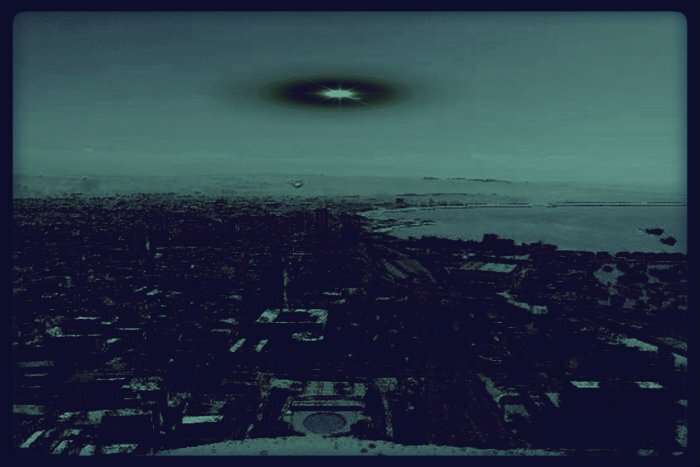 A strange green light was seen falling very close to the city on April 3rd; there were numerous witnesses. A series of strange sightings that coincided with blackouts throughout the state in September of las year caught the attention the national media, which linked it to frequent UFO encounters in Tijuana. It seemed that these sightings over our peninsula had ceased. 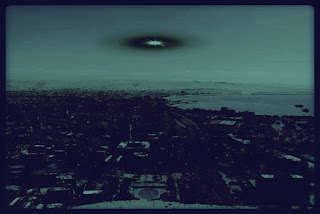 However, researcher Martín Alonso Nuñez, who constantly investigates and seeks out this phenomenon, managed to obtained evidence in January of this year, having recorded an unidentified flying object over the city of La Paz. The Baja California peninsula appears to be a magnet not only for domestic and international tourism. Judging by the number of sightings, it would seem that intergalactic tourism is a factor as well. 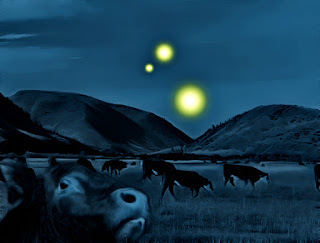 In 1990, several families of the Alvaro Obregón ejido (communal land farm), located some 30 kilometers from the city of La Paz, claimed to have witnessed the ascent and descent of strange and unknown objects all night and into the early morning hours. The witnesses told the Diario Ultimas Noticias newspaper that that on July 6, 1999, the noise coming from the hill was deafening, and that they had never seen anything like it. It made them nervous and concerned. The Castro Valdez and Albañez Díaz families told the press that the noise emanating from the hill was completely unknown, but resembled that of a jet or hundreds of motorcycles. They pointed at the hill, saying that a very bright light emanated from it, looking as if hundreds of photographs were being taken at that location. On the next day, they visited the site and found evidence that a large object had fallen there, as ground marks were in evidence. Furthermore, the entire area was burned, giving off a strange odor they could not readily identify. Some youths claimed having visited the hill that very same night, and had found many people with scientific equipment and cameras, analyzing and photographing the marks left behind by the UFO. They couldn't identify the people, saying only that they were foreign-looking. UFOs were also seen over the following days toward Los Barriles and the city of La Paz, and there were witnesses to these events. A year earlier, in 1989, an impressive and by no means isolated case occurred involving a native of the state of Michoacán, who claimed having had a less-than-pleasant encounter with space beings. Other events were reported in Ciudad Constitución. 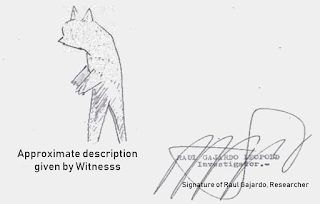 The police statement taken on the events in Benito Juarez, near Ciudad Constitución, read as follows: "Mister Silvestre Rodriguez Garcia said in his own words that he had injured himself in a moment of nervousness, as his family is disappearing, because some extraterrestrials have an invisible device with which they make people disappear. Out of all my family, I'm the only one left." This person was committed to a mental health facility and nothing further was ever heard of the case, which was left to the imagination and consideration of the public at large. Los Cabos also has a considerable number of UFO sightings every year. 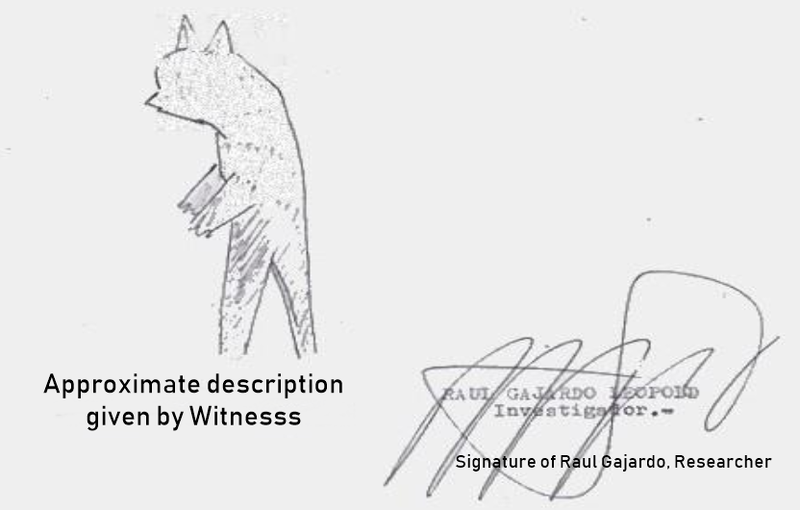 In the '90s, these increased in an incredible manner, with hundreds of witnesses, appearing in several newspapers, such as the one dated January 16, 1993, when many strange lights were seen flying in the city's periphery, particularly in the "El Zacatal" district, where they were seen by many. According to an anonymous witness: "We used to sleep outdoors back then, and we had the chance to see those lovely lights traveling at impressive speed toward the hill." 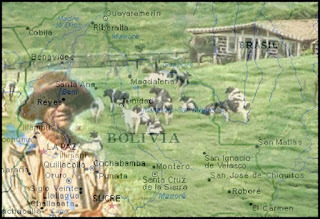 Notivision reached the ranch in Guarayos to hear the story of the cattleman and his ranch hands about this sighting. SANTA CRUZ, BOLIVIA - The sighting of at least 20 'unidentified flying objects' over a cattle farm located in the municipality of Guarayos has been become a source of concern for the past six months for the owner of this property, as well as for the ranch hands who work at the location. Surveying the property on Thursday night, Freddy remarked that the presence of this phenomenon causes the cattle to panic, stampeding and causing damage to the paddock and wire fencing. "At one o'clock in the morning, as we were going to bed, [a UFO] appeared behind the pickup truck. My ranch hand said, "Don Freddy, there's the 'drone'." Since it lit up the road like an automobile, I thought it must be the party controlling the drones. But when we saw it, I grabbed the shotgun, told my ranch hand to fire, and he fired. The UFO went away, but when I turned the pickup truck around, we could see it up close and it lit up our faces," he said. One of the workers manifested the fear the event had caused him, as it was the first time he had seen the manner in which these objects visit the ranch, light it up, and then fly off. Another ranch hand said that it is normal to see how the objects nearly touch the ground, go from paddock to paddock terrifying the cattle, and then take off to parts unknown. FROM Pablo Andres Diaz Caceres, 28, married, graphic designer, residing at 414 Las Violetas, Graneros. "In the year 2003, while at a cookout with Mr. RAFAEL MORENO, general anesthesiologist of the region in the locality of Las Cabras, 6th Region of Chile, on the shores of Lake Rapel, he told me that while exercising his profession in [the city] of Copiapó in 1998, one of his fellow doctors, who was affiliated with the Army, told him that he had examined the corpse of an Army conscript who had died during maneuvers as the consequence of hand grenade explosion. The autopsy, however, revealed that this was not the cause of the soldier's death. Rather, it had come about from serious cutting and piercing wounds and tears caused by the claws of a wild animal. He was badly mauled. It was said he had encountered a warren of these creatures (IEA) in a cave near Copiapó, in a place dubbed Fosforita, where a group of these creatures was nesting. The Army ordered a platoon to enter the cave, where the conscript was attached by these animals, dying instantly. Next, these animals were gunned down and their corpses subsequently delivered to representatives of the U.S. government and shipped away in unmarked helicopters. 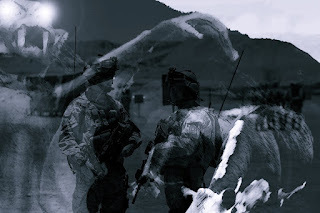 "In the year 1999, while on missionary activity as an elder for the Church of Latter Day Saints in the city of Tal-Tal, he had the chance to speak to the aforementioned Army physician, Doctor Moreno's friend - he did not remember the man's name or physical description - who told him "that he had seen strange things, the body of a conscript slain by an animal attack. 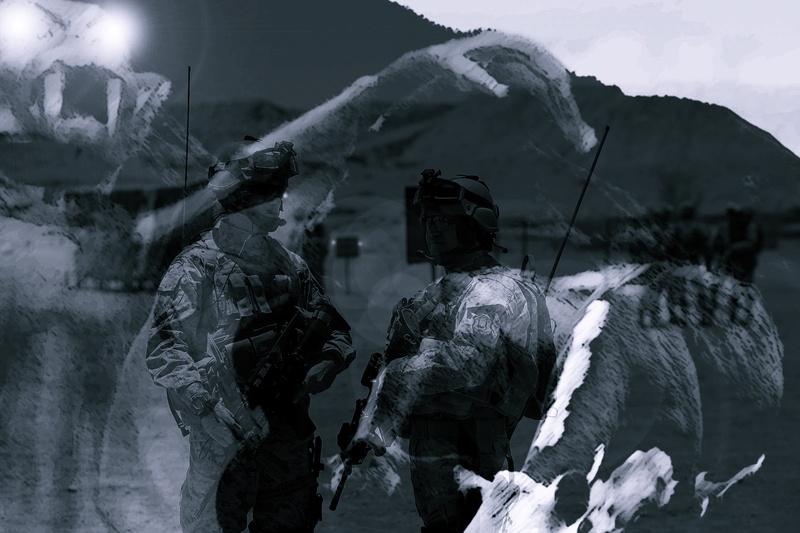 The wounds were not the result of any weapon." This doctor was very discreet. The information stayed in his memory until he subsequently ran into Dr. MORENO at Las Cabras. The case was one and the same. "In May 2000, JOSE MIGUEL SANHUEZA, also a graphic design student, was on the verge of finishing his time in the army as a reserve corporal, commando and parachutist for one of the Regiments in the locality of Colina. He awakened by the sound of gunfire. A lieutenant and two sentries doing their rounds were set upon by a non-descript shape against which they opened fire when it refused to answer their challenges. It was an animal capable of leaping quickly from one place to another, and none of their bullets struck true, although impact was made against a backhoe, which the witness did see during the daytime. The animal moved swiftly through the scrub vegetation while the troops exhausted their ammo firing against it. The creature was seemingly unharmed, as no tracks or traces of blood were found." "Between 1980 and 1985 I worked at Fundo Los Aples 3 in the Nahuelbuta Mountains engaged in forestry development. I pursued the same activity from 1986 to 88 in Fundo Tranicura, Alboyanco Sector; 1989-93 at Fundo Estados Unidos between Traiguén and Purén; 1994-96 at Fundo Pangal and Pan de Azúcar; 1999 at Fundo Las Acequias and 2000-2004 employed by Ahuile and Co. My reason for stating all this is to point out that I have worked for many years in timber extraction and I know all the wild animals that exist in the vicinity of Angol. 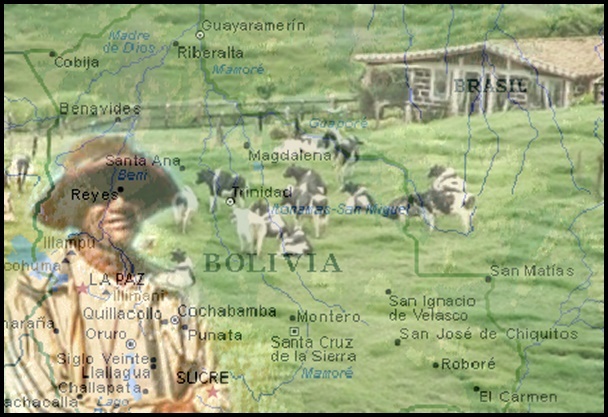 "However, on Monday, September 20, 2004, during the fading hours of the afternoon, shortly after sunset, I was returning alone from visiting some properties of mine in the Deuco Sector, some 6 kilometers SW of Angol, driving in my pickup. Some 500 meters before reaching the junction with the road linking Angol to Los Sauces, I pulled over at the edge of the dirt track, beside a yellow iron gate on the right side of the road, in order to urinate. "Having completed this act, standing on the front right side of the vehicle, I realized that a very strange animal was heading my way from a distance of some 30 meters. I shall describe it later. I started walking around the pickup, along its rear, and later decided to walk toward that animal, which had progressed some 10 meters from where I stood. Seeing my movements, it stopped and went back "SIDEWAYS" without turning its back until it reached a pine tree, facing me, NEVER TAKING ITS EYES off me. "At that moment I boarded the pickup and returned to Angol. "At no time did the animal - or whatever it was - make a show of aggression toward me. Rather, it was friendly but shy. To tell the truth, it didn't frighten me at all. "What was strange was its shape: I figured it to have a height of 1.5 meters, solidly built, seemingly very strong, sturdy, with a body completely covered in black or dark fur, about a geme long (geme- unit of measure designating the distance from the outstretched thumb and forefinger of a hand). It stood erect. Its arms were short and kept them always to its torso. Legs were strong and straight. I never saw it flex its knees. Its back was straight despite the erect gait. The head was smaller in proportion to the body: it had two ears, erect and pointed like those of a horse. It had a trunk or slender muzzle measuring some 10 to 15 centimeters long. I couldn't make out any eyes, possibly due to the hairiness of its head, nor could I see a nose below the aforementioned protuberance. Its shoulders were normal, like those of a man. Short neck. I couldn't make out fingers on its hands or toes on its feet. I think it could be mistaken for a slender-headed bear. The short arms were gathered over its abdomen. "I was able to see it clearly thanks to the light, its proximity, and because the terrain is scraggy, with scattered pines and a lack of scrub vegetation. What struck me was its erect gait. Another strange thing was that when it walked sideways toward the pine, some 10 meters distance, the ground under its feet RESONATED, as though its footsteps REVERBERATED, showing it was quite heavy. The ground was dry. "My footsteps could not be heard. Due to its corpulence I think the animal weighed many kilos. I cannot find another explanation. "The animal remained beside the pine tree; I boarded my pickup truck, and returned home to Angol." Thousands witnessed a flashing UFO in the city of Arica in Northern Chile. The sighting began after midnight on the 11th of October and lasted a little over three hours. During this time period, the news spread throughout the city and people turned out to the street to watch the impressive object at ease. It has been estimated that nearly 100,000 people witnessed the strange heavenly display. Questioned by newspaper reporters, witnesses agreed that the UFO was "an object that gave off intermittent, irregular flashes in different directions, and at various speeds." Some Chilean journalists were able to see the UFO for themselves through astronomical equipment, saying that "a large luminous core surrounded by an oval-shaped capsule, sky blue in color, could be clearly made out, very similar to a transparent membrane, and with three concentric black circles." No official reaction has been made known to this moment, but the control tower at the Chacalluta International Airport reported: "It was a strange phenomenon with no explanation whatsoever." It was also made clear that no aircraft were flying in the skies over Arica, nor was there any awareness of a weather balloon having been launched." There are reports that the phenomenon was also seen throughout the entire region of Azapa and Lluta in the Chilean altiplano and Pre-Cordilleran region. 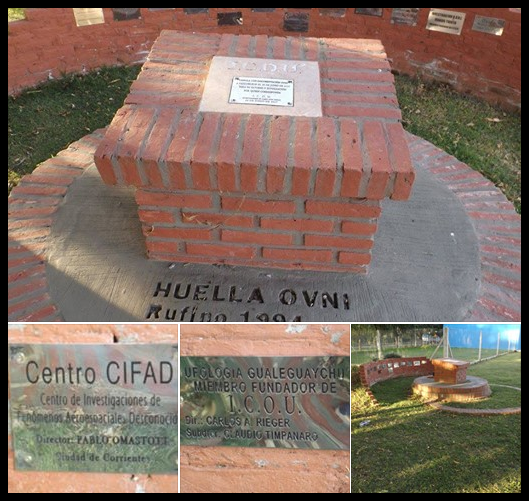 With an eye toward the future of ufology: Argentinean UFO research groups Ufologia Gualeguaychu and Grupo CIFAD have set their own plaques to encircle the UFO Time Capsule buried by ICOU (Investigadores de Campo Unidos) in 2017 in the locality of Maximo Paz, Province of Santa Fe. According to Luis Burgos, the organization's founder, "this legacy to the future ufology will be opened on June 24, 2117. In other words, we only have ninety-eight years to go!"